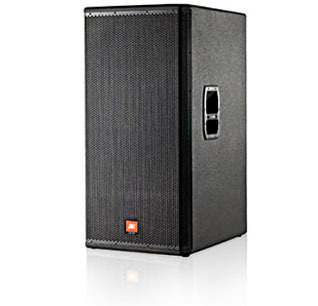 JBL MRX528S Compact 18" Portable Subwoofer System DJParts - All Variety of Parts that DJ Needs. The MRX528S is a compact, high power subwoofer system containing dual 2044H 457 mm (18") woofer in a front-loaded, vented enclosure. The enclosure is designed to present a minimum frontal area. It is also configured in an upright format to permit the convenient stacking of fullrange enclosures on top without the need for an additional pole. The system offers complete input connection flexibility for compatibility with a variety of cabling schemes. The input panel incorporates a pair of Neutrik® Speakon® NL-4 connectors wired in parallel. The MRX528S is supplied with pins +1/-1 connected to the woofer. This may be easily reconfigured to work with cabling systems intended to drive subwoofers on pins +2/-2. The enclosure is constructed of quality plywood, coated in JBL’s rugged DuraFlex™ finish and is braced to maximize low-frequency performance. The attractive CNC-machined, 16-gauge steel grille is internally lined with an acoustically transparent screen to provide additional driver protection and give a very professional appearance.